Get flexible delivery date & time settings in Magento: specify available time-frames (including holidays), set a deadline after which same-day delivery is unavailable, disable next day delivery, and more. Specify the days that are available for delivery. Specify the time that is available for delivery. Set minimal interval between the order and the delivery date. Add holidays to the calendar, so that the customers are not able to choose holiday dates for delivery. Indicate time after which same-day delivery is unavailable. Filter and sort orders by delivery date. 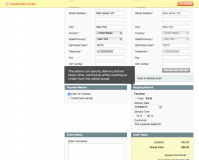 Specify delivery date and time when creating orders. 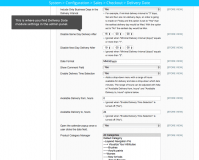 Enable the Delivery Date functionality for the specified product categories. Let customers pick a convenient delivery date. Let them choose an appropriate delivery time. Allow them to leave a comment. Show delivery date and time in the Order View and Order Confirmation e-mail. 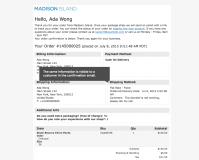 Show delivery date and time in the Invoice, invoice email, Shipment and the shipment email. Show delivery date and time in the corresponding steps of the checkout progress. Support for both one-page and multi-address Magento checkout. Compatible with Aitoc’s One-Page Checkout Booster extension. There is a Norwegian locale available for this extension. Magento Edit Cart module - Provide customers with an ability to change parameters for any type of products added to the cart prior to proceeding to the checkout. 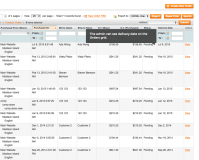 Magento Custom Reports extension - Track customer statistics and make use of advanced data visualization and detailed reports. Page Editor for Magento - Edit prices, descriptions and other parameters from the front-end and go to the admin panel quickly, if you need to. Admin Email Notifications Magento plugin - Notify emploees about new orders or registrations, newsletter subscriptions, discount codes activation, and other events. * Fixed an issue with the delivery date field reseting when reopening this field in backend order. * Fixed incompatibility issues with All-In-One Checkout: 1) missing validation when entering incorrect value in a date field; 2) calendar popup would not open when a user clicked the date field in some cases. * Compatibility fix for Magento SUPEE-6285 patch for sub-admin with restricted resources. 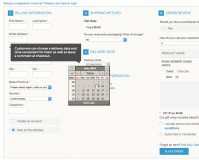 * Fixed the design issue with displaying delivery time fields at checkout and in admin panel. * Fatal error on Dashboard is fixed for CE 1.9.1.0. * Issue with delivery date isn't displayed in New Order Confirmation Email is fixed for CE 1.9.1.0. * Parse error when placing order through paypal is fixed. * New year issue with calendar is fixed. + New feature added: Delivery Date functionality can be assigned to specified categories from back-end. + Compatible with Magento CE up to 1.9.0.1. * Issue with delivery dates availability and Only Business Days setting is fixed. + Compatible with Magento CE 1.8.1.0. + Compatible with Magento CE 1.8.0.0. * Compatibility issue with One-Page Checkout Booster is fixed. * Fatal error when checkout with PayPal is fixed. * Date format issue is fixed. * "Include Only Business Days in the Delivery Interval" issue while turned on "No" is fixed. * Fixed the compatibility issue with our Advanced Permissions extension. + Opens the calendar popup when a user clicks the field to input a date. * Fixed the issue with displaying the title of the turned off Comments field. * Fixed the problem with SSL when selecting the date from the pop-up calendar. * Fixed the incompatibility issue with PayPal Express Checkout. * Fixed the incorrect behaviour of several extension configuration options. * Fixed the inability to select the nearest Saturday when only weekend delivery is enabled. 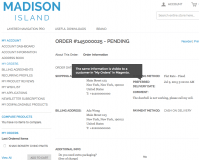 * Not saving the specified date of delivery under certain circumstances is fixed. + Compatible with Magento CE 1.7.0.2. + Compatible with Magento CE 1.7.0.1. * Ability to select Monday delivery when ordering late in Friday is fixed. + Compatible with Magento CE 1.7.0.0. * Not including the delivery information into emails is fixed. + Compatible with Magento CE 1.6.2.0. * Incorrecnt disposition of the date picking calendar in IE8+ is fixed. + Compatible with CE 1.6.1.0. + Compatible with CE 1.6.0.0. 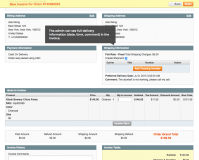 * Fixed the issue with filtering orders by the delivery date from the back panel at the Sales > Orders section. * Fixed the issue with an empty column "Delivery Date" in a back panel at the Sales > Orders section. * Not displaying of the delivery date and time in 'My Orders' section and in some e-mails is fixed. * Inability to select the date with the help of calendar after specifying it manually is fixed. * Now admin time-zone isn't considered when searching by Delivery Date from an admin panel. 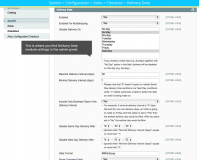 * Not decreasing an inventory while creating an order from admin panel is fixed. + Norwegian locale is now available. * Delivery options are displayed correctly now when order is created in admin panel. * Multi-address checkout issue fixed. + Compatible with Magento CE 1.4.2.0. + Now works with multi-address checkout. + Compatible with Magento CE 1.4. A good review and support are very quick to act if needed, would recommend. Thanks for the help! Great extension and superb support Massive thank you for all your help with this. We needed this feature and it works great. The support is also excellent when we upgraded to 1.9. Emails answered very quickly every time. Thank you. We bought the Delivery Date extension and some support hours from the good guys at AITOC to further refine this extension for our complex operational needs. Highly recommended extension with good customization support by the sellers. We are impressed with AITOC's developers to deliver us the customized solution within the time line agreed prior. Some minor bugs were resolved very quickly too after project was handover. Developer team is highly responsive. Great extension with good customization support! We bought this extension and some support hours from the good guys at AITOC to further refine this extension for our complex operational needs. Highly recommended extension with good customization support by the sellers. We take great care in selecting extensions for our Magento sites and now have a short list of trusted developers. AITOC is one of only a handful we fully trust and would recommend. We recently had an issue with an extension and I was surprised at how quickly we received support and a fix - this was on Christmas Eve and I hadn't expected a reply, let alone a complete fix. I am confident that I can trust the extensions AITOC provide and now look here first. Excellent quality and service. This extension plays an essential part of our website. We compared a few others out there but none comes close to AITOC's and on top you receive topnotch customer service. Delivery Date extension works perfectly. and support team also do great work .. Excellent extension works perfectly! Makes it so much easier for the customer! Support is brilliant aswell I had a styling problem which was my fault however I contacted support and they fixed it for me straight away! Brilliant!! Excellent product that does exactly what it says it does. And the customer service was SUPERB. I had an issue when messing around with different store views, I contacted AITOC asking for help and they promptly explained to me what I needed to do. Absolutely satisfied. Aitoc produce great products and their support is second to none. I have used this module on 2 different stores, and have also had some customisation work done. Fast, accurate and great value for money. Honestly cannot praise them enough! Looks like it will do what I need, apart from one issue, which is that the order review does not show the date that has been selected for delivery, which in our case is a fundamental requirement. I will need to look closer, but the basics will save a lot of hassles. Remove unnecessary checkout steps in Magento. Improve UX by letting your customers check out quicker. A Magento extension that allows you to charge extra for services like gift wrap, speedy delivery, etc. Reduce your Magento store's exit rates by distilling six checkout steps to one.